If you are considering all of the benefits that a brand new interior or exterior paint job could have on your home or business, you have definitely come to the right place. 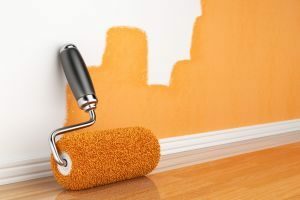 Our team of professional Millersville painting contractors here at Annapolis Painting Services have been providing our exceptional quality services to home and business owners throughout the local area for over thirty years now and we have no intention of slowing down anytime soon. Over the years, we have worked hard to earn the spectacular reputation for quality work that we have today, and we have done so by placing customer satisfaction at the very top of our list of priorities. When you make the decision to hire the team of experienced professionals here at Annapolis Painting Services, you can rest assured that you are getting a team of experienced painters who can help you turn your vision into a reality for your home. In addition to our full line of exceptional painting services, our team of experienced painting contractors are also extremely well versed in high quality pressure washing services, carpentry, roofing, siding, and even hardwood flooring. In every service that we provide, we are always striving to deliver nothing but the best in terms of both quality service and results. If you have any questions about our full line of high quality painting services, or if you would like to schedule an appointment for consultation with one of our specialists, give us a call today. Our team of experts are always standing by and would be more than happy to assist you in any way we can. When you and your family make the decision to enhance the interior of your home with a new paintjob, you want to be sure that you have a team of professionals on hand who can take the design you give them, and flawlessly translate it from dream to reality. If you want the best for your service, then you need to hire the best to perform it. Here at Annapolis Painting Services, our team of experienced professionals understand all of the little factors and decisions that go into a new paint job for the interior of your home. If you aren’t sure what you want to do yet in terms of color, our team of design consultants can work with you directly to help you find the perfect new color scheme to deliver the kind of design and overall aesthetic you’ve always wanted for your home. First impressions are everything when it comes to business, and nowhere is that more true than when it comes to the exterior of your commercial building. Your building’s exterior is the first thing potential customers see of your business, and can have more of an influence than you might think when it comes to them deciding whether or not to come inside or to spend their money elsewhere. A high quality exterior paintjob for your commercial property can go a long way towards freshening your business’s image and attracting customers, and the team of professionals here at Annapolis Painting Services are the perfect crew to make it happen. If you are looking for a professional painting contractor in Millersville, give us a call today at 410-974-6768 or fill out our online request form.